We live in the pool most of the summer since my in-laws have a pool. We also visit the lake quietly frequently and plan our family vacation around the beach, so protecting my children's skin and hair from all the summer elements is on the top of my list. 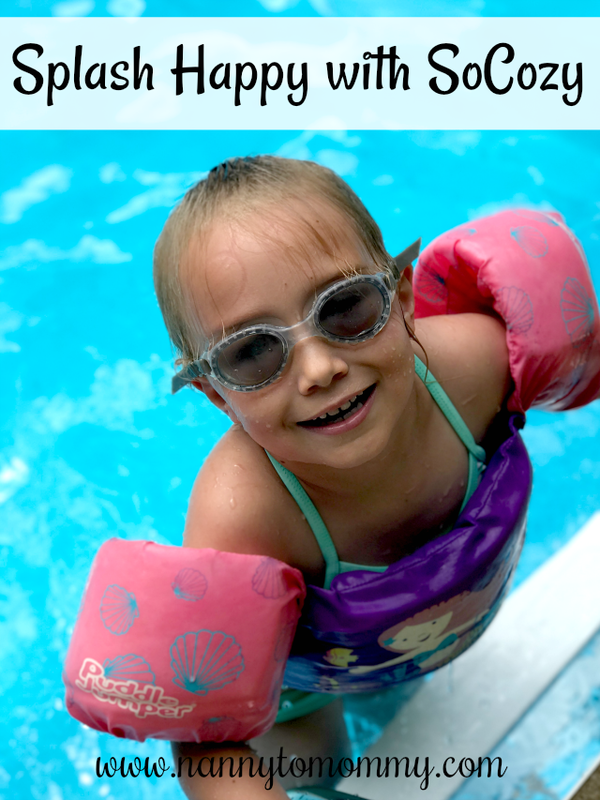 Both my kiddos have blondish hair, so chlorine can be hard on it. I have seen sometimes that blonde hair can even get that greenish tint to it. SoCozy has teamed up with FranceLuxe and 37 Actives to celebrate the beginning of summer! 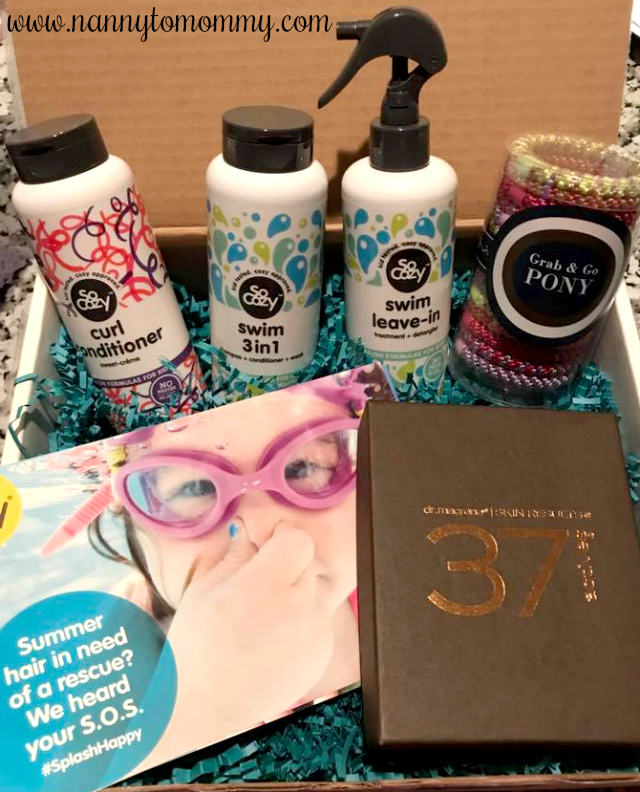 They have curated a box of must-have summer essentials for the kiddos (and something for mom too). What started with an innovative idea to open a salon just for kids, has grown into the nationally-recognized SoCozy brand of salon-quality hair care products developed specifically for kids’. Made from the finest ingredients with absolutely no nasty chemicals, every SoCozy product boasts multiple uses to streamline bath time and calm those hectic mornings of getting the kids out the door. I have been wanting to work with SoCozy for a while now. I have heard such wonderful things and their Splash line is perfect for the summer months. So I am very excited to share what was in my Summer Must Haves box for you! It's a 3 in 1 shampoo + conditioner + body wash that cleanses and repairs damaged hair caused by pool chemicals, saltwater and the sun. Activated charcoal adsorbs and removes unwanted green tones, calcium salts, and chlorine buildup from the hair. A special blend of antioxidants and vitamins infuse hair with moisture while restoring hair health. Plus, it leaves the body squeaky clean from head to toe. It's a lightweight, ultra-hydrating leave-in conditioning treatment that protects, repairs and restores damage caused by pool chemicals, saltwater, and the sun. Activated charcoal adsorbs and removes unwanted green tones, calcium salts, and chlorine buildup from the hair. High doses of Vitamins A, D, and E contain UVA/UVB filters that help protect against damage from sun exposure, while a special blend of antioxidants and vitamins infuse hair with moisture to prevent mineral absorption. PH is restored and hair is soft, smooth and tangle free. Part of the Boing collection (no frizz or fuss-curls done right) it softens and moisturizes even the driest, unruly curls. This ultra-hydrating formula conditions without weighing curls down and easily detangles to prevent breakage and frizz. Restores luster and shine, hair is noticeably softer and healthier with each use. Constructed of thick elastic accented with an ornamental oval bead, the ponytail holders are metal-free and non-damaging. These hair ties are perfect for a simple ponytail and offer exceptional hold. These are by far the best hair ties I have ever used. Not too tight, not too loose, and give the perfect hold every time. 37 Actives High Performance Anti-Aging Cream and High Performance Anti-Aging Cleansing Treatment: With 37 Extreme Actives®, this has been patented and combined with only the best anti-aging skincare ingredients into a single formulation, One Step Skincare Solution®. Clinical results delivered. Designed to keep your skin blemish-free, its proven to improve redness, pigmentation, sun damage and wrinkles. I am loving all these summer essentials. We are definitely seeing the benefits. Make sure to follow SoCozy on @SoCozy and the other sponsors: @37Actives & @FranceLuxeHair. What do you think of SoCozy and these summer essentials? First thank you for writing this! My daughter has blondish hair, very unlike my dark brunette. We are always at the neighbors swimming and definitely need something like this. Thanks again ! I have never heard of this product before, but I really believe it needs to be shared! I used to have the green tint & the frizzy hair problem with a couple of my girls and you don't mess with a girl's hair! Cute name! I'd never heard of these products before, but they look like they'd be so nice to have!